In the spring of 2016, a highly debated Colorado bill came across the desk of Governor Hickenlooper, forcing him to make a tough decision. The piece of legislation, Senate Bill 16-269 (SB16-269), set out to solve a specific regulatory concern for hospitals regarding their ability to accept individuals brought to their door on an involuntary 72-hour mental health hold, commonly called an M-1 in Colorado. The legislation quickly gained attention from hospitals, law enforcement agencies, and the mental health community, and, as the conversations grew more complex, so did the language in the bill. Of the many policies embedded in SB16-269, one in particular lead to its eventual demise: The bill extended the time in which a jail could hold an individual on an M-1 hold without any legal charges. The extension of this timeline was, in many cases, the first time that many individuals found out Colorado engages in this practice at all, and, furthermore, that we were just one of six states to still allow it. Policy makers from across the state all acknowledged this policy was not ideal, but not knowing what other resources were available for those Coloradans most in need, it was included in the bill. When it came time to sign the legislation, it was widely supported by lobbyists and advocacy groups across the state despite the time extension. Ultimately, the governor made the choice to veto the bill despite its support with the message that Colorado can do better to uphold the rights and safety of citizens (Hickenlooper, 2016). In the months following the veto, policy makers and advocacy groups worked to understand the meaning of that decision. The governor followed up on his veto with several actions, including an announcement in his veto letter of plans to convene stakeholder groups from across the state to examine the key issues behind his decision. First, the governor specifically convened a taskforce of influential Coloradans to focus primarily on mental health holds and how to modernize Colorado’s process. Second, a letter was sent to the Colorado Commission on Criminal and Juvenile Justice (CCJJ) encouraging them to examine the issue of individuals with mental health disorders in jail. Meanwhile the Equitas Project, a Colorado-based advocacy group with the mission of disentangling mental health and criminal justice, hosted a large convening of over 200 stakeholders to develop systemic recommendations. Through the summer and fall, all three groups held passionate discussions on how to best address the issues that Colorado was facing. Rising to the top were concerns about transportation for individuals in need, especially in Colorado’s many rural communities. 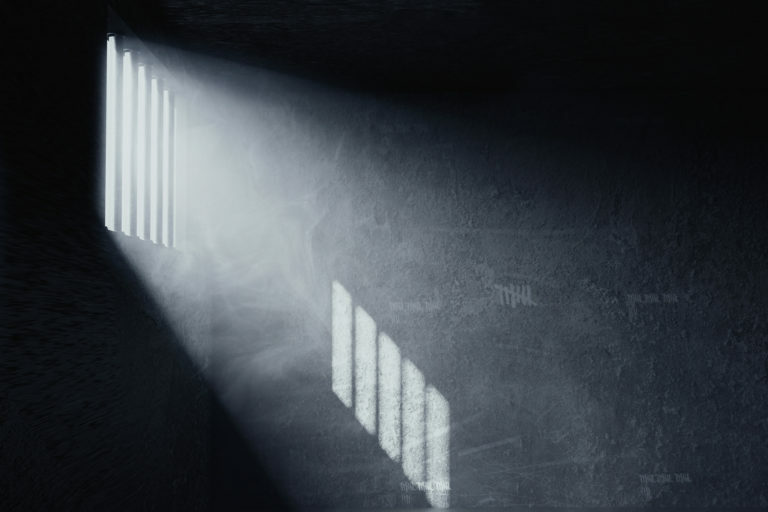 Rural law enforcement members stated strongly that their options in managing individuals in acute behavioral health crises were limited and that jail was the only resource available to them. Justice partners across the state felt strongly that the expectations on them to identify, understand, and manage behavioral health crises should be handled by mental health professionals. Mental health advocates alongside individuals with lived experience educated stakeholders on the traumatizing nature of the justice system and why additional options were critically necessary. Throughout the entire discussion, stakeholders agreed that a new approach had to be developed and that now was the time to act. Although many recommendations were communicated by the three groups, one was prevalent across all of them: Completely end the use of jails as a placement option for individuals on an M-1 hold. In 2013, Colorado took a bold move to formalize the state’s expansive crisis-response services with legislation that infused additional resources as well as coordination of those services on a regional basis. Since then, Colorado’s crisis services system has gradually grown to better understand and serve the unique needs of the various regions and communities. Understanding the importance of this investment, many of the members of the various groups began to ask how this system can be leveraged to help address how Colorado can end the use of jails in the M-1 hold process. Surely, many thought, a coordinated crisis system has a role to play in providing modern, productive options for communities who are responding to an acute behavioral health crisis. Stakeholders felt strongly that, with collaboration, a better way could be developed. A turning point arrived when a small workgroup convened by the CCJJ taskforce proposed writing into statute a new intervention; instead of giving law enforcement only the two options of commit or arrest, provide for a third option of transporting individuals to a nearby mental health professional. The new proposal was met with no shortage of skepticism. How will communities be able to transport an individual when locked, secure mental health treatment facilities are so few and far between? Will mental health providers, operating in outpatient settings, be able to assist individuals in an acute crisis? Will an involuntary transportation escalate the crisis? How will Colorado be able to meet the needs of these individuals once they have been transported? These questions were all critical in igniting conversations between partners who had not traditionally talked before. Representatives of people with lived experience met with providers and law enforcement officials to discuss just how a process like this might be helpful and effective. Quickly, it became clear to all involved that Colorado would need to rely on large-scale communication and collaboration if the mission were to be achieved. As the dialogue continued to unfold, it became clear that meticulous coordination would need to be at the heart of whatever solution were pursued. Stakeholders began to closely examine the crisis system as a potential host for this coordination. At the core of all the conversations was a desire to bring communities together to find a solution that made sense for their needs. Coordinated across four regions, the Crisis Service Organizations that manage the services within the crisis system were especially well positioned to facilitate dialogue and enhance opportunities for collaboration. In acknowledgement of this, the CCJJ group agreed on a legislative recommendation to infuse resources to the crisis system directly related to these policy issues. The stakeholders on the group felt so strongly that this system was instrumental in answering the “how” of the mission that it was decided to reverse the order of the recommendations by addressing enhanced crisis services first and ending the use of jails second. In December of 2016, as policy makers and advocates prepared for the start of the 2017 legislative session, votes were taken on the recommendations that were finalized in prior months. Discussions were once again opened to a wider audience, which was quick to express hesitations and concerns. At the root of the skepticism were several key questions. Will the resources be in place in time to make this work? Will the crisis system be able to handle new demands? Will law enforcement partners be on the hook for potential disasters? And, finally, are the stakeholders confident that the consumer and peer communities believe in these policies? Unfortunately, the groups were working against the clock and recommendations became finalized before these questions could be answered. In January 2017, when the legislative session started, advocates of the recommendations had to act fast to prepare for bill drafting. Throughout the bill drafting process, three groups were primarily engaged for their feedback: law enforcement, consumers, and providers. 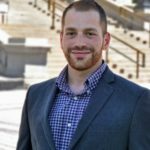 All three groups needed to trust that however the bill were shaped, it had to represent their concerns and provide them with the confidence that this process would be beneficial for all Coloradans. As a primary lobbying group behind the not-yet introduced bill, the Colorado Behavioral Healthcare Council (CBHC) took steps to engage partners individually as well as together to check for blind spots and missed opportunities. The importance of listening in individual stakeholder meetings could not be overtated. As language began to gel and finalize, lessons of communication were critical, and CBHC took extra measures to facilitate direct conversations between the various entities who would be impacted. Following months of drafting, discussing, re-drafting and collecting feedback, Senate Bill 17-207 (SB207) was formed and introduced. Far from perfect, SB207 had a way to go before it was supported enough and prepared for the legislative process. Advocates and legislators knew that it would be critical to show all the key stakeholders presenting a united front about the importance of the legislation to achieve success. Time and again, conversations across sectors proved powerful in cultivating trust in the belief that all the stakeholders were in this together. Open, honest communication was of absolute importance in empowering the various partners to communicate what they would need from each other to make this bill, and the policies within it, successful. Eventually, the time came for SB207 to be heard in legislative committees. Throughout the many hearings and debates, the power of having law enforcement, consumers, and providers all agree on a policy suggestion was evident, and in the spring of 2017 the bill was written into law. In July of 2018, Colorado statues no longer allowed for individuals on an M-1 hold to be held in any jail across the state. Although this overview only scratches the surface of the months of work, countless conversations, and stakeholder dedication that went into this historic achievement, at the core of this turning point was the impact of opening conversations between the various key stakeholders. Those entrenched in the mental health and criminal justice systems may often take for granted the barriers that exist between them, despite the strides that have been made to break them down. Further, it was evident that policies were too often created with the systems’ needs prioritized over those of the individuals being served by those systems. Despite its challenges, and the ongoing challenges of implementation, SB207 created a space in Colorado where those barriers could be examined more critically and discussed more openly. A major turning point through this process was the deliberate inclusion of individuals with lived experience across every step. The voice of consumers and peers, when empowered, can elevate the mental health system to be greatly more aware of and effective within its blind spots. As with any industry, the mental health system is susceptible to the trap of system-protection over consumer needs. While this impact is acutely felt in the clinical setting, when the consumer perspective is not deliberately considered in policy decisions, the effects can ripple to thousands across countless communities. While mental health advocates have long championed the importance of peers and consumers in policy decisions, the story of SB207 also demonstrates their strength and impact in achieving a change. Of the many lessons learned from this story, perhaps the most impactful is the establishment of a clear process to engage various stakeholders in an open dialogue about their perspectives on a systemic issue. Stakeholder engagement will only go so far unless key individuals are invited to participate. Furthermore, the power of having diverse audiences communicate with each other can create long-term trust and collaboration, which has helped Colorado’s communities in the success of their policy and beyond. The success of 2017 has resonated throughout the 2018 legislative session as partnerships continued to strengthen and partners understood each other better. The story of SB207 is one of a transformation that could not have been achieved without communication, trust, and genuine shared responsibility. Hickenlooper, J. W. (2016, June 9). [Correspondence to Members of the Colorado Senate]. Gur, M. (2018).Conversations and turning points in the life of a major policy change in Colorado. Psychotherapy Bulletin, 53(3), 17-20.